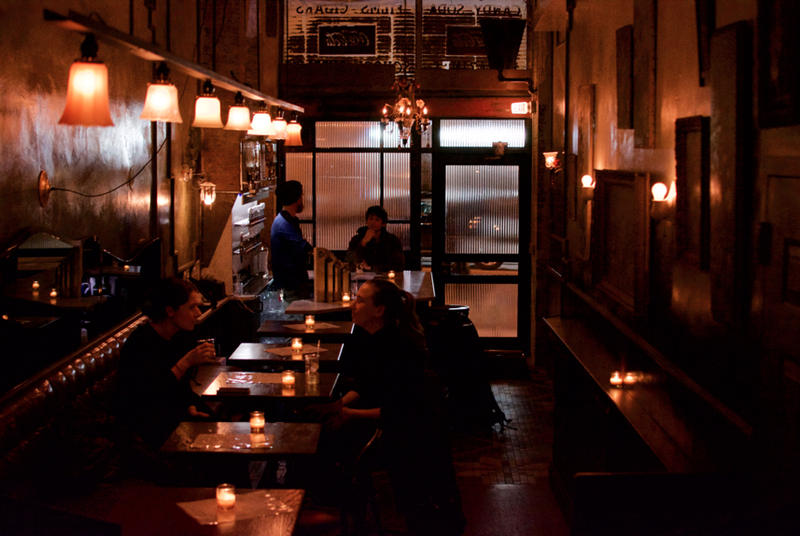 Inside Dear Bushwick. Photo by Dane Rhys for Bushwick Daily. While some critics have declared Bushwick “over,” those who appreciate access to a sweeping culinary gamut know better than to stray too far from the neighborhood. From Michelin-recognized eateries to classic bodega staples, the wide variety of options available reflect what Bushwick's diners already know: the neighborhood's food game is strong. Very strong. This Friday, that game only strengthens when the restaurant formally known as Dear Bushwick officially reopens as "Sincerely Burger by Dear Bushwick", with a brand new menu that promises to cater to a full spectrum of palates. 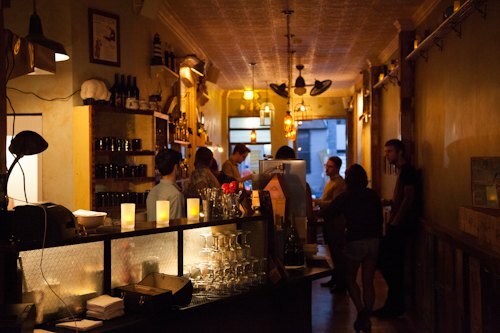 Since its opening in 2012, Dear Bushwick has garnered a number of major accolades, including a Michelin Guide recommendation and the glowing regard of its neighborhood's diners. 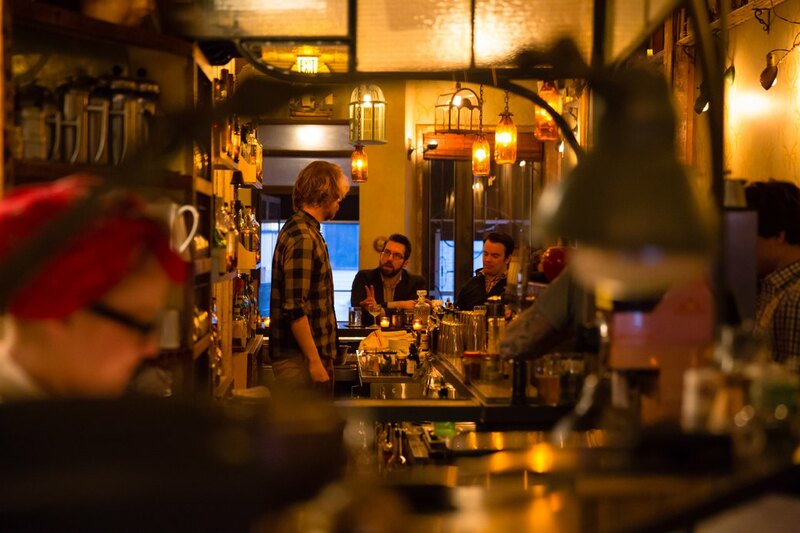 It’s hard not to fall in love with a space that so authentically invokes the feeling of a warm neighborhood pub, yet still offers hearty, exceptional dishes. 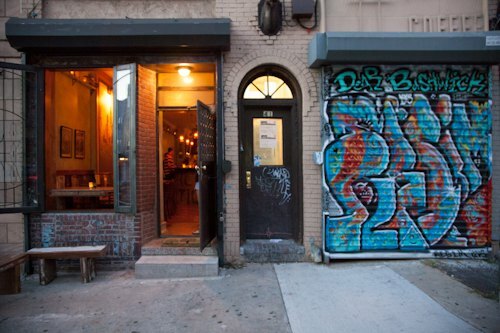 But if you're worried that the restaurant's shift toward more accessibility will effect the quality of the food, there's no need to fear — Julian confirms that Sincerely Burger by Dear Bushwick is still going to be a chef-driven establishment, managed by the same award-winning culinary team (Julian Mohamed and Darren Grenia), with a kitchen led by new executive chef Christian Ortiz. “Christian is awesome and super organized with a great palate. He really gets the neighborhood,” praises Julian. Photo from the Bushwick Daily archives. The menu itself is going to be split in half, separated into "naughty" and "nice" options. The nice side will provide relatively healthy fare (think veggie burgers, and plant-based snacks), while the naughty side is dedicated to more indulgent, meat-heavy options (rumor has it there are shoestring fries and a gourmet oxtail burger in the works). Just like its predecessor, Sincerely Burger will continue to provide both vegan and vegetarian options, as well as gluten-free buns. Whether you're on a budget or willing to splurge, Sincerely Burger will offer a full spectrum of options ranging from highly affordable (and delicious) burgers, to more decadent selections. And of course, with the expansion of Mohamed and Grenia's empire to include Yours Sincerely, the drink menu at Sincerely Burger has gotten a reboot as well. “Darren Grenia is also developing a new bar program, which will include Boozy Milkshakes and house made sodas,” explains Julian. The team plans on offering around five nonalcoholic milkshakes, and then approximately five alcoholic milkshakes, with the option to order dairy-free. The milkshake program is estimated to launch a week or two after the opening of Sincerely Burger, just in time for spring. 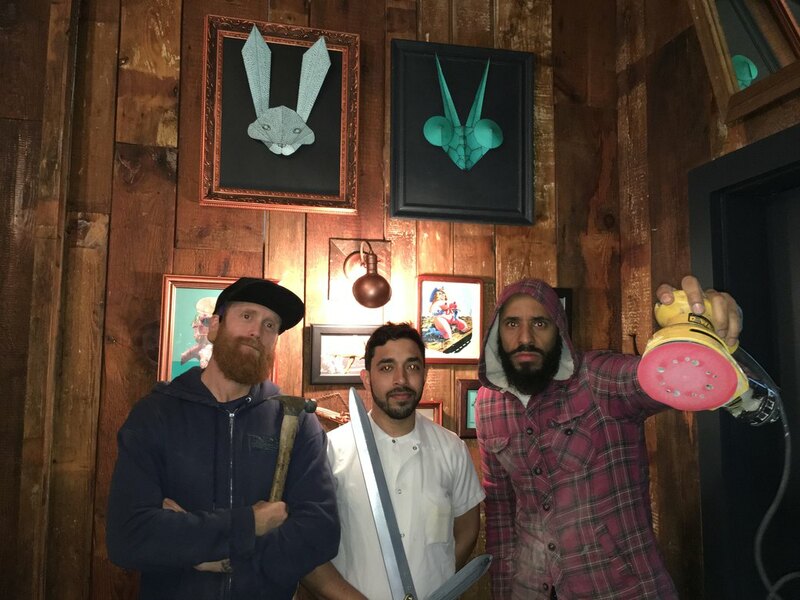 From left to right: Darren Grenia (owner), Christian Ortiz (chef), Julian Mohamed (owner). So: an affordable, chef-driven burger establishment is launching in Bushwick, with the option for a boozy milkshake on the side? Welcome (kinda) to the neighborhood, Sincerely Burger. For a neighborhood that's "over," we're sure excited to have you. 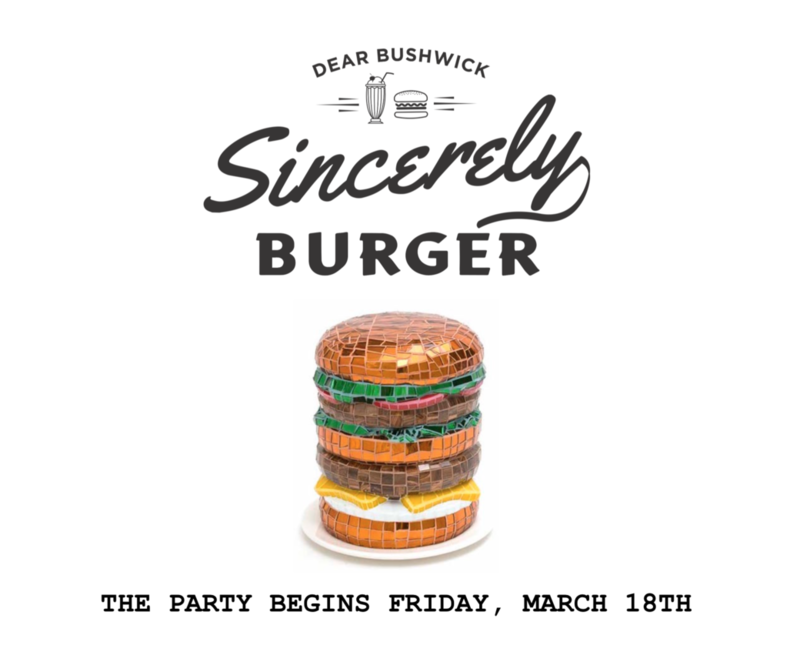 Sincerely Burger by Dear Bushwick, 41 Wilson Ave, Bushwick, grand "opening" on Friday, March 18th. A burger joint with culinary roots. Weekdays 6 p.m. - 11 p.m., Weekends 11 a.m. - 11 p.m. Follow the Sincerely Burger on Facebook, Instagram and Twitter.